Alerts911 announces new 4G LTE medical alert technology for Home & Mobile use. Alerts 911 is a medical alert system company that offers a family of state-of-the-art, easy to use devices and accessories that help seniors stay in their home and live independent lives. Delray Beach, FL – Alerts911 Medical Alert Systems is pleased to announce a new paradigm for the emergency response system industry with its life saving 4G LTE technology for both home users and for on-the-go mobile users. These new devices incorporate state-of-the-art technology and ease of use into one powerful solution. 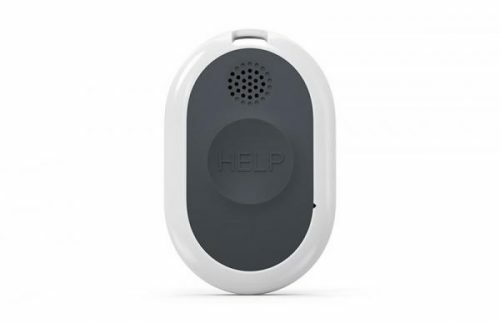 Alerts911 is a medical alert system company that offers a family of state-of-the-art, easy to use devices and accessories that help seniors stay in their home, live independent lives, and have peace of mind knowing help is only a button push away. These life-saving devices range from in-home systems that can include base stations that can link up to 32 accessories including a wall mount device that responds to push button and now voice commands in the event of a fall. Our on-the-go mobile device is one of the first of its kind to include new 4G LTE connectivity, with a wide range of features in a stand-alone take-anywhere device. ”In the US alone, 77 million Baby Boomers have begun turning senior, and 44 million of these individuals are already acting as caregivers to elderly parents and loved ones. Our new easy to use state-of-the-art products bridge the gap between seniors and their tech-savvy caregiving children”. Said Mitchell Salzman, Director of Sales & Marketing for the Company. The new generation of medical alert devices offers younger seniors the safety, reliability, and peace of mind that they are being cared for without having to change their lifestyle and helping them to maintain it for as long as possible. These devices are no longer considered to be suitable only for the home restricted senior along with the stigma associated with wearing personal alert devices. These systems now accompany them as they age and adapt to their needs over time. Plus, they get to manage those devices from their smartphones. These mobile solutions are attractive for people who would never have considered wearing an old help button but are now more than willing to display and use these lightweight take-anywhere devices now and for their future wellbeing – empowering them to lead life by their rules. As a result, market demographic has grown drastically. Some of the features of this new leading-edge technology includes 4G LTE connectivity on the nation’s largest cellular network, enhanced audio capability, built-in GPS, water resistant, two way talk voice, long-lasting battery life with car charging ability (in case of loss of power due to a hurricane, etc. ), and fall detection technology that automatically connects to a US-based emergency monitoring center. Alerts911 offers the most technologically advanced lineup of emergency response systems for home and on-the-go users while simultaneously delivering highly intuitive and easy to use devices. Coupled with a 24/7 US-based emergency monitoring center with highly trained customer care consultants and free 24/7 technical support, we are changing the way seniors look at medical alert devices.